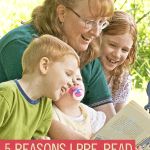 I read this article and wanted to share it with you: 4 Reasons I Pre-read My Children's Books https://blog.sonlight.com/pre-read.html. Teaching Sonlight with a large family takes a delicate balance of the time I spend teaching, grading, and keeping track of assignments, with my need to work, clean, and cook. 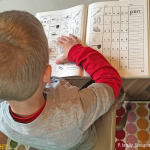 Finding the time to stay one step ahead of my children's school work can be hard. Despite the challenges of time management, with a few exceptions, I’ve always read the books I assign to my children before they read them. And, yes, the Readers scheduled for my children are without question top-notch books. Yes, I trust Sonlight's choices. But I still have strongly held reasons for pre-reading my children's books. Since I have seven students doing multiple levels, there’s no way I could read through that many History / Bible / Literature programs (HBLs) in a single year. But I do try to keep ahead of the oldest child so I’m at least familiar with the books when the second or third child comes along. This commitment means that I am often reading during my downtime at work or listening to audio books on my trip to and from work. I also read Sonlight books all year long, spreading out the workload. It is manageable to do, even with a busy lifestyle. And here's why I invest in pre-reading my children's Sonlight Readers. Sonlight doesn’t use textbooks to teach. 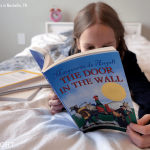 Instead Sonlight's curriculum is filled with historical fiction, which simply means the author tells a story using the correct historical background. For example, in Johnny Tremain in HBL D, Johnny is a fictional boy set in the very real backdrop of the Revolutionary War. Details about the war are sprinkled throughout the book as Johnny goes about his life. Just as in real life, hard things happen to Johnny. He’s an orphan working as an apprentice. He meets people who are fighting for liberty, and as a result of that fight, people die. It’s very hard to write an accurate book about war and history while keeping everything sunny and cheerful. Sonlight books don’t sugarcoat history. They do try to choose books that stay away from the harshest violence or the greatest atrocities (until later high school), but you will find, on occasion, people starving, suffering, or even dying. Reading a quick summary of a book or reading through the discussion questions in the Instructor's Guide (IG) doesn’t always give you the full feeling of the book. Because difficult content does appear from time to time in Sonlight books, it’s a good idea to pre-read to see what’s coming. If any content is a bit too sensitive for your child, you can skip that portion. We normally choose to read those sections instead of skipping them, but I make an effort to talk through the hard parts. 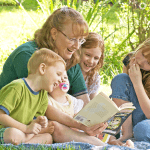 If I’m not willing to take the time and effort, why should my children? If a brief summary and discussion question answers in the Instructor's Guide are good enough for me, why aren’t they good enough for my children? 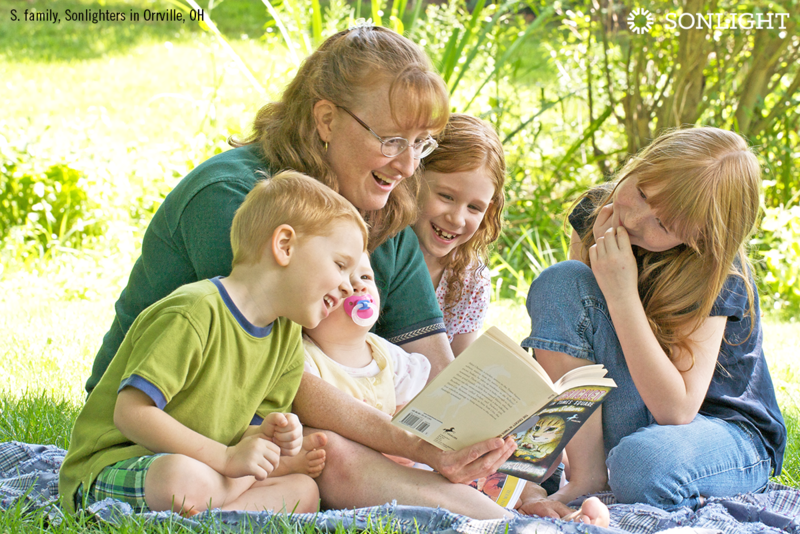 By reading the books in full, I show my children that reading is important to me and the knowledge I can gain from reading the books is important as well. Sometimes when I ask my children a discussion question about a book, they give me an answer that isn’t listed in the IG. If I haven’t read the book myself, I might assume their answer was wrong when it's actually an acceptable answer. At other times, my children didn’t know the answer to a question. Without having read the book myself, I would be at a loss to help them identify the correct passage in the book to locate the answer. 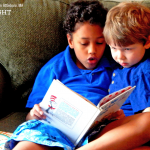 Pre-reading can clear up a lot of these issues with right or wrong answers. I might still have to look over a chapter to clarify an answer, but I can figure out most answers based on my memory of the book. And as a bonus, we get to have meaningful discussions about the titles instead of a dry Q & A session over the IG. The biggest reason I pre-read my children's books is because Sonlight chooses such excellent novels, biographies, and non-fiction! I would be sad to miss out on these books! I find myself crying for the main characters. My heart breaks for the hardships the missionaries are undergoing. I often close a book with a sigh of satisfaction for a good read. Sonlight books are books I would choose for myself if I had hundreds of hours to weed through books to find the good ones. It’s actually quite rare that I find a Sonlight book that I didn’t love or learn from in some way. So while it's something of a sacrifice of time, it's also a pleasurable task to pre-read my children's Sonlight Readers. 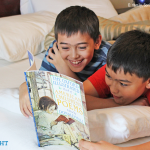 To find out more about Sonlight's unmatched Read-Alouds, Readers, and our complete book-based homeschool programs, order a complimentary copy of your catalog today.